Nestled in the beautiful Okanagan Valley in the southern interior of British Columbia, Quails’ Gate Winery has been producing award-winning wines for 30 years. Situated on the slopes of Mount Boucherie, an ancient volcano, our 125-acre (51 hectare) lakefront estate is renowned for producing premium wines and providing unsurpassed guest experiences. We produce ultra-premium BC VQA and internationally-recognizable wines with a focus on Pinot Noir and Chardonnay and our passion for making great wines is matched only by our dedication to ensuring every visit is a unique and memorable one. 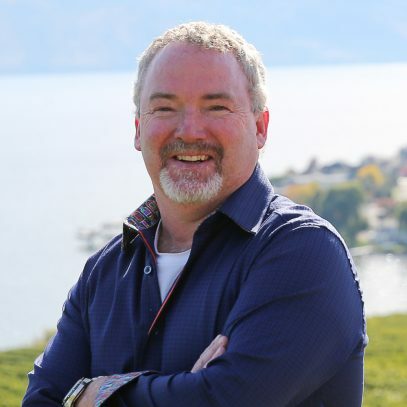 As CEO of Quails’ Gate Estate Winery, Tony directs much of his energy in creating an environment that enables Quails’ Gate to succeed as one of the world’s best wine houses. He’s passionate about ensuring that Quails’ Gate visitors receive exceptional products and services. He and his team are confident and excited about leading the way in wine and culinary tourism. As a leader in the industry, Tony has not only focused Quails’ Gate's vision on innovation and sustainability, but also devotes significant time to several local, industry, provincial and national associations to ensure the success and growth of the BC and Canadian wine industries. Chardonnay is the Queen of their white varietals. While it is widely planted in many wine regions around the world, it takes the right terroir, viticultural and winemaking influences to capture the true essence of the varietal. Chardonnay was first planted in the Quails’ Gate Estate vineyards in 1987. Additional planting of imported French clones occurred in 1996 and there are now more than seven clones in the Estate vineyard. Clonal diversity is very important to producing a quality Chardonnay as each one offers a new dimension to both the viticultural and winemaking process. Vine age is also becoming a key factor in producing consistent, outstanding vintages as with each passing year we see more flavours emerging that define their place of origin and the soils in which they were grown.